When you consume food, it travels from your mouth to your esophagus to your lower esophageal sphincter (also called LES). Now it’s the LES which allows the entry of food into your stomach, and then shuts like a door in order to prevent that food from getting into your esophagus. And when the LES malfunctions, it leads to the food finding its way back into the esophagus, ending up irritating the esophagus when stomach acid comes in contact with it. 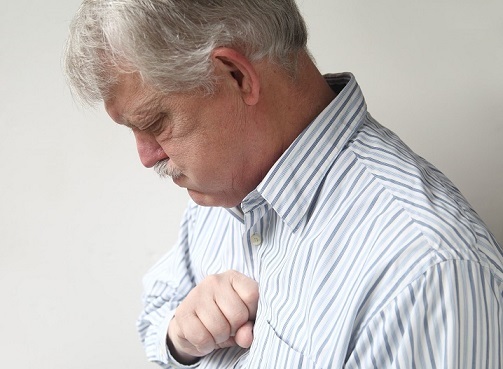 This phenomenon is called heartburn or acid reflux or GERD. Unfortunately, GERD is not a ‘curable’ condition. You can control it, but you can never truly get rid of it. Once the GERD treatment begins, you’re in for the rest of your life. This is why it’s important to know exercises for GERD in order to keep your condition under control. Before I tell you about which exercises are best for you, you need to know which exercises you need to avoid at all costs. Certain exercises out there will only end up worsening your condition. In fact, several studies have found a direct link between professional athletes like weightlifters, cyclists and runners, and their chances of getting GERD. And that’s because strenuous exercise exacerbates the symptoms of heartburn. If you aren’t a professional athlete, then you needn’t worry. As a rule of thumb, you should avoid any exercises that need your body to be horizontal, like swimming. This is because when your esophagus and stomach are on the same level as each other, the chances of your stomach contents flowing back into your esophagus increase drastically. Body positions that are restrictive or put too much pressure on your abs/core muscles can also trigger symptoms, so avoid them. In fact, the position of your body during workout is also instrumental in deciding whether or not you’ll get GERD. A lot of the cyclists that had GERD had it because of the position they sat during cycling. In fact, the position was also the reason why short-board surfers had a greater chance of having ERD than long-board surfers. Ideally speaking, 30 minutes is enough for daily workout routine. However, if that is not possible for you then you can easily break down your schedule into multiple 10 or 15 minute sessions. 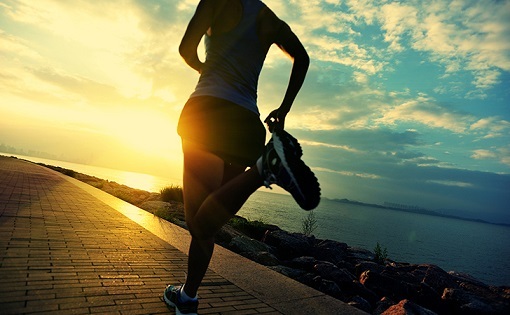 Well, if you can walk during the mornings or evenings, then there is nothing better for you when it comes to exercises for GERD. It doesn’t matter where you’re walking, so long as you’re doing it on a flat surface. Walking is a simple exercise that can be performed by anybody, and since it doesn’t involve a lot of movement of your stomach, it doesn’t trigger your reflux. If you’ve been walking for a long time, then you can up your game by carrying light weights in your hands when you walk. Don’t have weights? Substitute them with water bottles (filled with water) instead. Remember to drink water (not from your bottles acting as your weight, of course), but also keep in mind not to go overboard with the drinking. That’s because drinking excessive water will cause the stomach contents to move around, which in turn could trigger your reflux. The thing about yoga is that it’s a form of physical activity that is suitable for any and every age group. Its gentle movements and slow stretches are in fact what make it easy for beginners as well as those with medical issues to take to them easily. However, do keep in mind that you should avoid poses that force you to bend or lie on your stomach. You might feel like that has severely restricted your movements, but you’re wrong. This is because both conditions will force your stomach to react to severe motions, which in turn could lead to irritation of your reflux. And while you’re at it, remember to bike with your back straight. Avoid hunching at all costs. And no, cycling shouldn’t be substituted for spinning, where your body position changes drastically, especially when you’re doing a high intensity workout. Instead of 3 big meals, eat 5-6 smaller meals. Exercise at least an hour after you’ve had a meal. If you can’t afford a 1 hour gap, then at least eat a meal that has carbs in it, as opposed to high fat or protein in it. Smoking makes your esophageal sphincter to malfunction. Give it up. Don’t wear body hugging clothes during workout – they add pressure on your stomach. If you experience heartburn, then you can easily take over-the-counter heartburn medication before your workout. Take a warm bath. It gives instant relief from acid reflux symptoms. Why Eating Sugar Can Make You Sick?